Dave and Katherine's family on their favourite beach in the whole world (so far) - Madeira Beach, Florida. First off, welcome! We're glad to have you visiting our website and we trust you'll enjoy viewing our images and learning about our services. 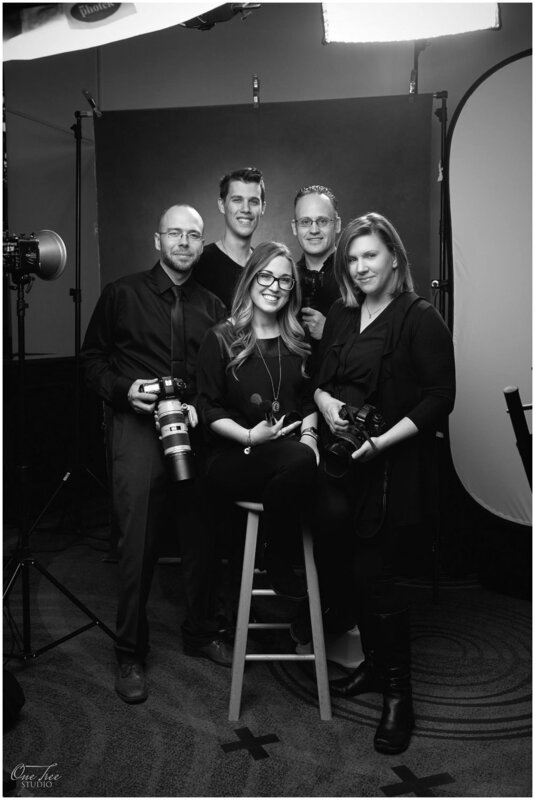 The team at One Tree Studio has a studio location in Markham and is happy to serve our clients in the Greater Toronto Area. One Tree Studio. is led by husband and wife creative team, Dave and Katherine Kalmbach, based Markham, Ontario. They bring their warm personalities, technical expertise, and creative flair to everything they do. We are excited to have a growing team of talented individuals! They make it possible to achieve our unique photography services. One Tree Studio has a studio at 158 Anderson Ave, Unit 9, Markham, near HWY 48 and 16th Ave. and is by appointment only. Good question! At One Tree Studio, we're family! From the minute you walk into our studio or have that first phone chat, our aim is to make you feel like you're home - like you've known us for years. It is our core belief that each life is infinitely valuable and should be honoured and photographed beautifully.